Dealing with contractual matters and get you in sticky situations. No one likes to be the bad guy, and Karma can be a real “you know what”. So here are a few tips and techniques for dealing with difficult customers. Get real legal advice. Make sure your contract is reviewed by an attorney and that you're taking advantage of all your legal options with regard to non-payment. In the US some states are very generous with regards to what self-storage operators can charge and enforce in their businesses with the full backing of the state law. Other states: not so much. So you want to make sure that you get legal advice and that your contract is vetted by an attorney to make sure you have as much legal protection and enforcement rights as possible. A big, thick contract also has a certain intimidation factor when dealing with the public, and it may provide just enough incentive so that you minimize future confrontations. Lockout promptly. 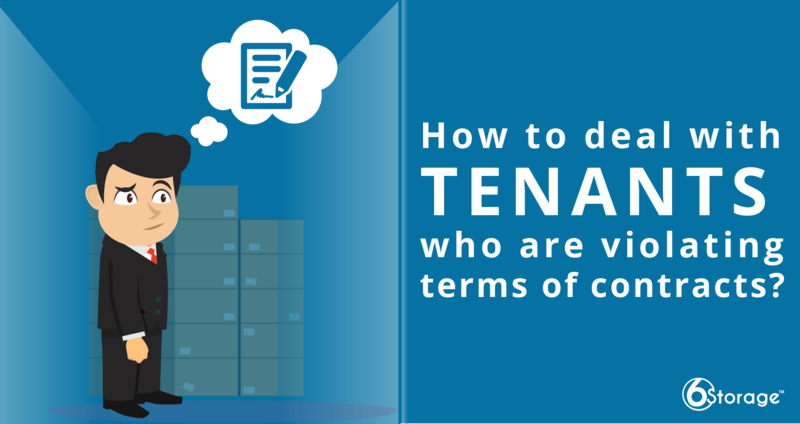 Some states in the US allow immediate access removal when storage unit rent is behind. Make sure you're operating within the confines of the law and lockout promptly. It doesn't take very long for the rent to get insurmountable for some tenants to pay and then you're stuck the locker of household goods that won't be worth near what is owed in rent and chances are fair you will get stuck emptying it on your own. Locking out promptly puts the tenant on notice that you mean business and the quicker you get it resolved the more likely you actually get your money. Follow the law. Don't deviate from your state’s prescribed system for disposing of personal property against debt. In most cases, it's fairly straightforward, so make sure you have a good system in place. Deviating can open you up for a lawsuit. Do unto others Everyone wants to be treated fairly. And I find that if I make an effort to be fair or more than fair to delinquent tenants, I can solve a lot of problems before they begin. Appealing to your tenant's sense of fairness may I help you resolve the case without having to go to auction. The catch is to treat all the tenants the same. otherwise, if two tenants collude and there was a discrepancy there could be a legal argument to invalidate your contract. Generally offering a payment plan or some other supplemental contract to solve the delinquency should keep you out of trouble.